The RM2A in my opinion is an extremely versatile mouthpiece in both range and tone quality without sacrificing the quality of either aspect for another. A highly recommendable mouthpiece for stylish cornet playing. Great mouthpiece 3RM gold rim. For high and low playing. Flexibility and a great big sound. I play principalcornet at brassband Gloria Dei in Holland, Worldchampion 2nd division, 2017, and this mouthpiece is super. At first I thought it is big, but when you get used to it, it is superb! I have been playing on a RM3 since I bought it for myself last Christmas. It is a great looking mouthpiece, stylish & sleek. It helps me produce a big warm sound and is the easiest, free blowing mouthpiece I have played on. I have always played on Wicks, a 4 then a RW4, but most recently a Heritage 4. This mouthpiece works well with the Yamaha Xeno and Courtois cornets that I play on. I feel that the Yamaha which is often bright in brass bands is mellowed with this mouthpiece. I have transferred several of my better pupils onto these mouthpieces and they all love them! 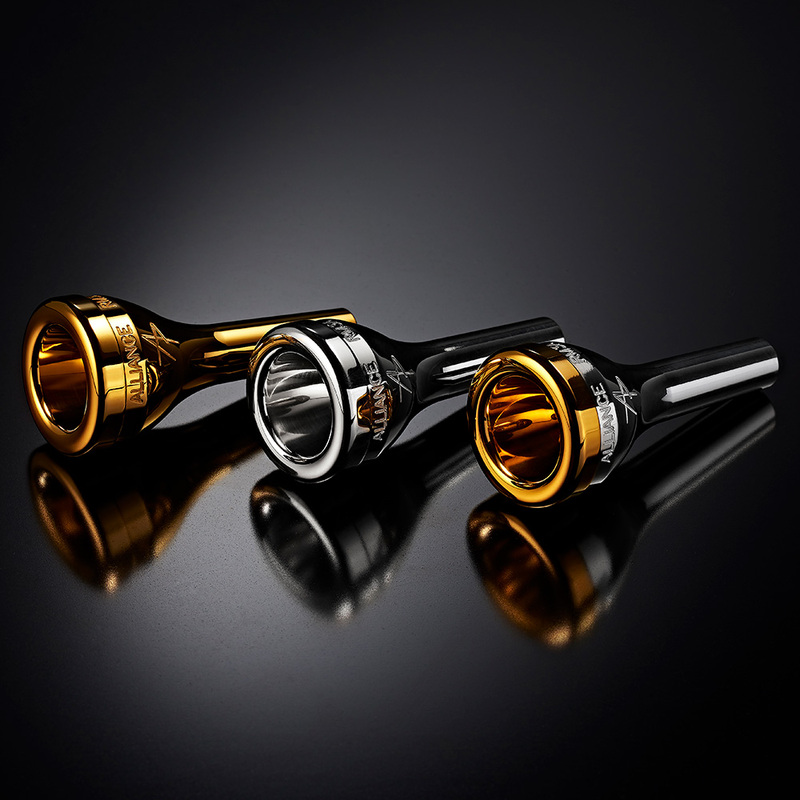 RM2A gold rim is a fantastic mouthpiece, it is really comfortable both in low and high range. It also produces a nice warm sound. Using this mouthpiece with a Prestige Cornet I thought was going to be difficult, but it is really easy to play. The RM3 is an excellent mouthpiece when it comes to ease of range and tone. It’s a great mouthpiece to even learn with, as it teaches you how to use your air more as you have to open your throat to fill the instrument. The rim of the mouthpiece is by far the most comfortable alongside the RM1 which isn’t as friendly in the top register. This mouthpiece will give you a very bright sound which is what any top cornet player has – absolutely fantastic value for money. I bought the RM3A from Richard having played on a Dennis Wick 4B for years. The comfort and projection are fantastic, so much better than the Wick. The RM3A has also helped me in the higher register. A great mouthpiece and excellent value for money. Absolutely awesome, RM2a gold rim, brilliant cornet mouthpiece. This mouthpiece really does not disappoint. For many years I have been quite happy with my Denis Wick 4 – it ticked all the boxes and did pretty much what I needed it too. I was then made aware of Richards new range of mouthpieces. I tried a few demo models and was instantly blown away. Three facets predominately stood out on the field tests. 1) Comfort. The sheer comfort and feel of the rim and inner concave for me really does reduce fatigue. Less pressure! 2) Compound intervals. When using the same diaphragm support these intervals feel much more secure with greater intonation. 3) Sound. The RM2a enabled me to produce a clear pitch centred full sound. Within that sound it almost feels that the articulation is ‘bouncing’ in the cup which you harness and cultivate. Finally….even at varying dynamics I can still maintain a warm sound. 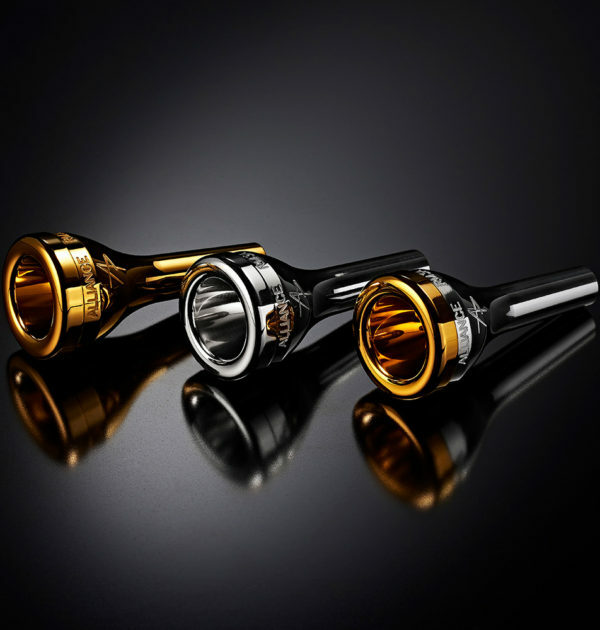 It’s wonderful not having to compromise on the ‘supremacy of sound’ – these mouthpieces are so flexible. They are an absolute joy to play. Bravo Richard. I got this mouthpiece 2 month’s ago and I love it. I have the RM3 and it is amazing. If you are looking after a new mouthpiece, the RM series are the best and I would definitely recommend it!